Founders Nefertiti Jones & Husband Rock Guitarist Jimi K Bones (Blondie, Joan Jett) speak about Haven Kids Rock. A Special Performance is Planned. RSVP for Studio Audience. MNN TV Studios, Friday March 1, 2019, Spectrum 34 & HD 1995, 2pm. NEW YORK - Feb. 24, 2019 - PRLog -- Haven Kids Rock: is an entertainment non-profit established in 2008 that empowers underserved youth who have been victims of trauma, abuse, or neglect to heal through the arts, was created specifically for Haven Academy's scholars. Not only are two-thirds of Haven Academy's scholars foster care and the child welfare system, the final third live in the poorest Congressional district in the U.S. and face similar challenges. Haven Kids Rock's vision is an environment in which every Haven Academy scholar has a therapeutic outlet and access to technical skills in the entertainment industry. Participation in the weekly program presents a unique opportunity for Haven Academy scholars. As an enrichment program every Saturday at school, program participants learn self-expression through music, dance, and acting by professionals in the entertainment industry. 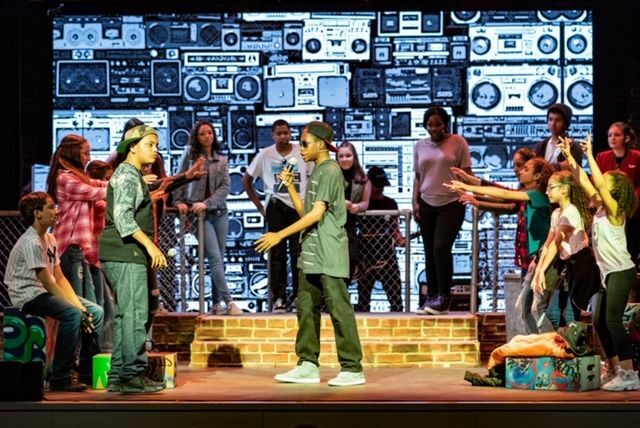 In 2016, an original off-Broadway show, Unstoppable the Musical was created based on the real life stories of our students. The show debuted at the Sheen Center in May of 2017. After two-sold out performances the show was revamped and returned to the Sheen Center in May of 2018 for a 3 night run. Haven Kids Rock is a part of Mott Haven Academy Charter School. Mott Haven Academy is a 501(c)(3) non-profit organization. Donations are tax deductible to the fullest extent of the law. Donations made to Haven Kids Rock via Mott Haven Academy will be used for the Haven Kids Rock program.